In a dramatic shift of national energy policy, the 2008-2009 Renewable Energy Strategy November 2008 proposed a massive increase in the contribution of renewables from 2% in 2009 to 15% by 2020. 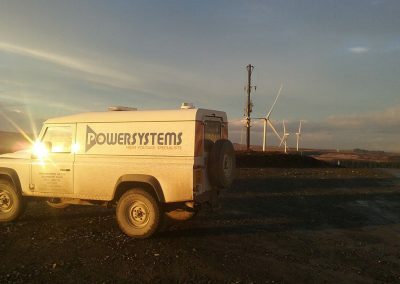 Powersystems asks the question – Where are we now with renewable energy, climate change and policy? Renewable energy is needed to meet decarbonisation and climate change targets. The Climate Change Act 2008 set in legislation the UK’s approach to tackling and responding to climate change. It introduced the UK’s long-term legally binding 2050 target to reduce greenhouse gas emissions by at least 80% relative to 1990 levels. It also introduced ‘carbon budgets’ which cap emissions over successive 5-year periods and must be set 12 years in advance. In October 2017, the UK Government published its Clean Growth Strategy (CGS) setting out ambitious policies and proposals, through to 2032 and beyond, to reduce emissions across the economy and promote clean growth. Clean growth means growing our national income while cutting greenhouse gas emissions. Achieving clean growth, while ensuring an affordable energy supply for businesses and consumers, is at the heart of the UK’s Industrial Strategy. It will increase our productivity, create good jobs, boost earning power for people right across the country, and help protect the climate and environment upon which we and future generations depend. In November 2017 the UK published its modern Industrial Strategy, which includes a Clean Growth Grand Challenge. The Grand Challenge aims to put the UK at the forefront of industries of the future, by maximising the advantages for UK industry from the global shift to low carbon. Building on the proposals set out in the CGS, the UK outlined its plans to improve the environment in the 25 Year Environment Plan. The 25 Year Environment Plan was published in January 2018 and sets out the UK’s approach to deliver on our ambition to leave our environment in a better state than we inherited, and to fully seize the opportunities of clean growth. Climate change is driving policy and regulations on reducing greenhouse gas emissions at international, national and regional level. Challenging European targets have also been set for renewable energy, and a number of policy measures implemented in the UK for renewable electricity, heat and transport fuels. Energy policy is mainly devolved to Northern Ireland and partly devolved to Wales and Scotland. Climate change policy is devolved to Wales, Scotland and Northern Ireland, although the UK Government retains control over many energy policy areas and also some other important policy areas which deliver emissions reductions. In Northern Ireland energy policy and the independent regulation of energy companies are devolved matters. 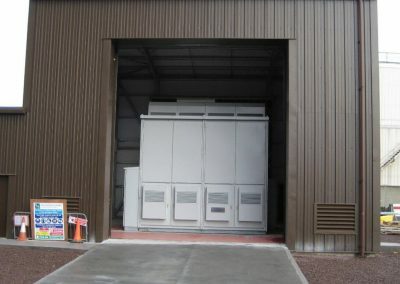 Northern Ireland’s current energy strategy is set out in the Strategic Energy Framework (SEF) for the period 2010-2020. 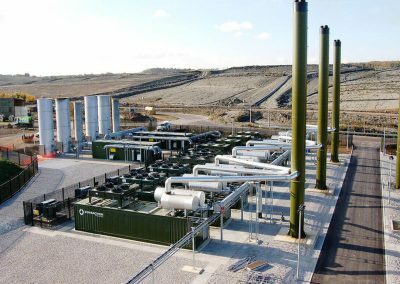 Northern Ireland’s future energy strategy is likely to concentrate on a more consumer-led decentralised energy system and decarbonisation in areas such as electricity, heat and transport. The Department for Economy NI is currently preparing a public engagement exercise to help shape proposals for a new energy strategy. 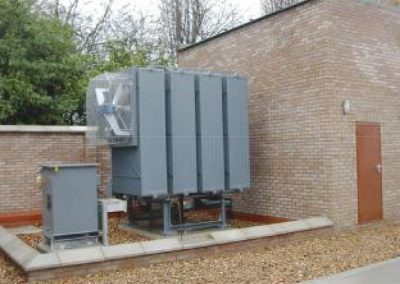 Is responsible for regulating the electricity, gas, water and sewerage industries in Northern Ireland. 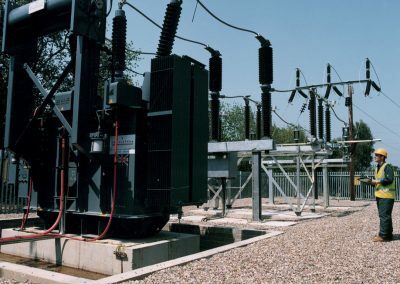 Northern Ireland has operated a single wholesale electricity market called the Single Electricity Market (SEM) with the Republic of Ireland since November 2007. The SEM has been undergoing extensive redesign to comply with the EU Target Model for the harmonisation of arrangements for trading electricity across Member States. The new arrangements are being progressed under the Integrated Single Electricity Market (I-SEM) programme. Reforms to the SEM went live on 1 October 2018. They are designed to introduce efficiencies of interconnector flows, encourage new investment in the market, apply downward pressure on prices, and create enhanced trading opportunities and options through the introduction of continuous trading in the intra-day, day-ahead, forwards, and balancing timeframes. The first auction took place at the end of 2017; further auctions are taking place later this year and in March 2019. The Climate Change (Scotland) Act 2009 requires Scottish Ministers to reduce emissions in Scotland by at least 80% by 2050, with an interim target of 42% by 2020 and annual targets for each year to 2050. 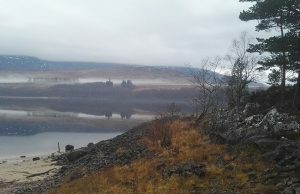 A new Climate Change Bill was introduced to the Scottish Parliament in May 2018, with increased targets in response to the UN Paris Agreement. The Bill increases Scotland’s 2050 target to a 90% reduction in emissions of all greenhouse gases, which means net-zero emissions of carbon dioxide. In other words, the Bill means that Scotland would be carbon neutral by 2050. The Climate Change Plan published in February 2018 sets out the Scottish Government’s comprehensive package of policies and proposals for meeting emissions reduction targets over the period to 2018 – 2032. 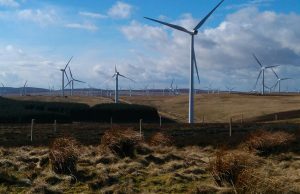 The Scottish Government also published an Energy Strategy in December 2017 which sets out a vision for the future of energy in Scotland to 2050. The Energy Strategy is fully consistent with the aims of the Climate Change Plan, taking a wider view of the long-term transformational change which will be required in the energy sector. Together the Energy Strategy and the Climate Change Plan provide the strategic framework for Scotland’s transition to a low carbon economy – reducing greenhouse gas emissions whilst maximising the social and economic opportunities. The framework covers reserved areas as well as devolved, focusing action on those areas which the Scottish Government can directly affect. The Environment (Wales) Act 201610 requires Welsh Ministers to reduce emissions in Wales by at least 80% by 2050. This Act also requires Welsh Ministers to set interim emissions reduction targets for the years 2020, 2030 and 2040, and establish a system of carbon budgeting that together create an emissions reduction pathway to the 2050 target. The UK’s ambitious energy and climate legislation and strategies support the five dimensions of the Energy Union. The UK is committed to ensuring there are secure supplies for consumers, regardless of the energy mix, and the CGS sets out actions to enhance energy security by delivering a more diverse and reliable energy mix. The UK is supporting smarter, flexible networks thereby enabling the integration of clean generation. To meet the UK’s 2050 climate change target (to reduce emissions by at least 80% by 2050, compared to 1990 levels), emissions from buildings will need to be near zero, coupled with action on industrial processes. This requires improving energy efficiency and energy management, and decarbonising nearly all heating and cooling of buildings. To achieve this, the UK is taking a range of actions including addressing barriers to energy efficiency and low carbon investment, such as supporting organisations to access finance. The CGS provides a framework for driving UK policy on energy efficiency. Some recent policies and measures on energy efficiency that have already been implemented include commitments to fund energy efficiency improvements in the public sector, industry, business and homes – for example, through the Energy Company Obligation (ECO). 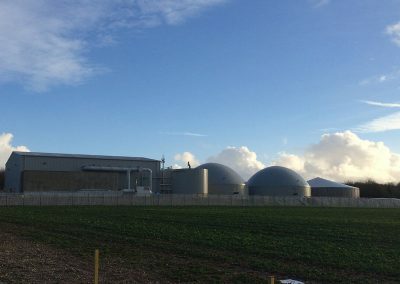 Northern Ireland contributes to the UK’s energy efficiency targets with the Northern Ireland Sustainable Energy Programme (NISEP) delivering up to 200GWh per year of energy savings as required by Article 7 of the Energy Efficiency Directive. Northern Ireland is currently developing a Northern Ireland energy efficiency action plan as part of a wider Energy Strategy, which aims to ensure co-ordinated and effective delivery of energy efficiency policies and programmes across Northern Ireland. 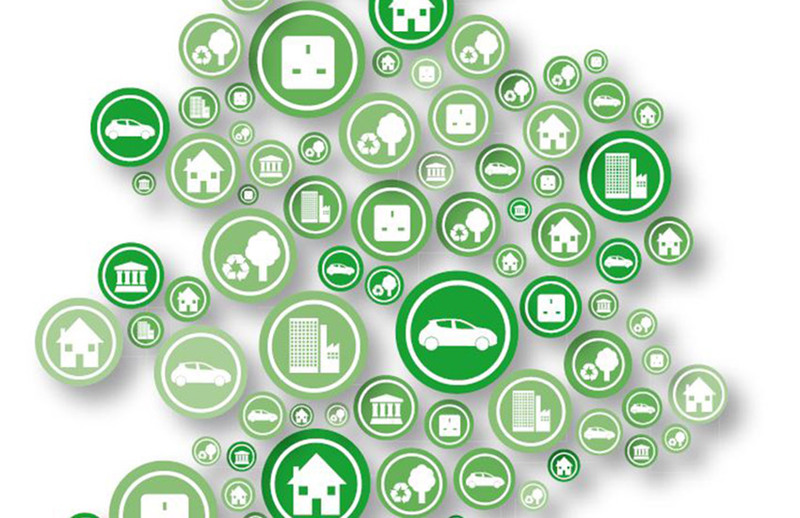 In Scotland, the Energy Efficient Scotland Routemap and Transition Programme was launched in May 2018. 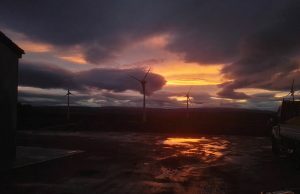 This ambitious 20-year programme contains a set of actions to make Scotland’s buildings near zero carbon wherever feasible by 2040 and to do so in a way that is socially and economically sustainable. The Programme will see around £10-12 billion of public and private sector investment in energy efficiency and heat decarbonisation over the 20-year period generating economic opportunity across the whole of Scotland. Energy Efficient Scotland has two main objectives: to remove poor energy efficiency as a driver for fuel poverty and reduce greenhouse gas emissions through more energy efficient buildings and decarbonising Scotland’s heat supply. In Wales, the Welsh Government has invested more than £240 million since 2011 to improve the energy efficiency of more than 45,000 homes of those on low incomes or living in the most disadvantaged areas of Wales. The Welsh Government is investing a further £104 million in the Warm Homes programme for the period 2017-2021, improving up to 25,000 homes and leveraging up to £24 million of EU funding. Through the Climate Change Act, the UK has established in law the first five carbon budgets covering the period from 2008-2032, with the sixth carbon budget due to be set in 2021. The UK has outperformed the target emissions reduction of its first carbon budget (2008 to 2012) and is projected to outperform against the second and third budgets (2013 to 2022). The CGS sets out ambitious policies across all sectors of the economy to deliver the fourth and fifth carbon budgets (covering the periods 2023-2027 and 2028-2032). Scotland has met its annual emissions reduction targets for each of the three years (2014, 2015 and 2016). Actual emissions from Scotland have been reduced by almost half (49%) between the 1990 baseline and 2016. Emissions in Wales have been reduced by 14% in the same period, with fluctuation throughout the time series. 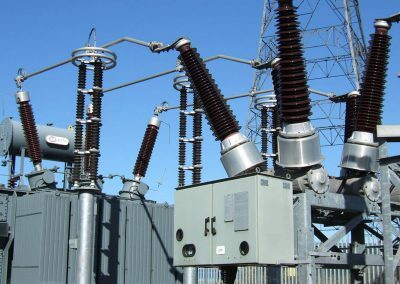 The UK Government recognises a range of benefits that interconnection can provide and strongly supports greater electricity trading with our European partners. 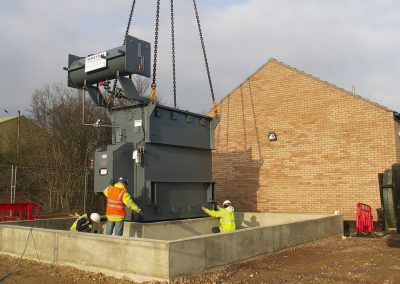 The electricity system in Great Britain is currently connected to north-west Europe via 3GW of interconnector capacity. 1GW of interconnection also links GB with the Single Electricity Market on the island of Ireland. Further interconnection projects are currently under construction (4.4GW) or seeking regulatory approval (4GW) and, as set out in our CGS, project assessments indicate the potential for a further 9.5GW interconnection beyond this in the early to mid-2020s. This is expected to increase our level of interconnection by 2030. The UK continues to be a lead actor in the transformation of energy markets and has strongly supported the EU’s direction in this area, most recently during the Clean Energy Package negotiations, to deliver open, transparent and competitive markets. We continue to support developing liberalised markets and successfully using competition to drive down energy prices. We are embracing the opportunity to increase renewable generation, decarbonise the economy and maintain affordability. We are implementing rules for a well-functioning internal energy market and our recent Electricity Market Reform introduced measures on, for example, Contracts for Difference and wholesale market liquidity. The CGS outlines the UK’s commitment to move towards a more dynamic market, empowering the consumer and realising the potential of renewables, small scale generation, greater flexibility, smart metering and the digital revolution. The UK’s early action on clean growth means that it has nurtured a broad range of low carbon industries, including some sectors in which we have world leading positions. This success is built upon wider strengths – the UK’s scientific research base, expertise in high-value service and financial industries, and a regulatory framework that provides long-term direction and support for innovation and excellence in the design and manufacturing of leading-edge technology. This progress has been aided by the falling costs of many low carbon technologies: renewable power sources like solar and wind are comparable in cost to coal and gas in many countries; energy efficient light bulbs are over 80% cheaper today than in 2010; and the cost of electric vehicle battery packs has tumbled by over 70% in this time. As a result of this technological innovation, new high value jobs, industries and companies have been created. This is driving a new, technologically innovative, high growth and high value ‘low carbon’ sector of the UK economy. Due to the UK’s world leading expertise in technologies such as offshore wind, power electronics for low carbon vehicles and electric motors, and global leadership in green finance, we are successfully exporting goods and services around the world. For example, in 2017, 1 in every 8 battery electric cars driven in Europe was built in the UK This progress means there are nearly 400,000 jobs in low carbon businesses and their supply chains, employing people in locations across the country. Capturing part of the global opportunity while continuing to drive down carbon emissions from our own activities provides a huge economic opportunity for the UK. By one estimate, the UK low carbon economy could grow by an estimated 11% per year between 2015 and 2030 – 4 times faster than the rest of the economy – and could deliver between £60 billion and £170 billion of export sales of goods and services by 203. This means that clean growth can play a central part in our Industrial Strategy – building on our strengths to drive economic growth and boost earning power across the country. Holds the responsibility for strategic oversight of climate and energy science and innovation across UK Government, promoting and protecting the UK Government’s policy interests. Its Science and Innovation for Climate and Energy Directorate (SICE) provides the science and engineering evidence and data to support, constructively challenge and enable development and delivery of national energy policy. Wider prioritisation of activity, research and innovation spending on energy is co-ordinated through the UK Government’s Energy Innovation Board (EIB), with SICE providing the secretariat for this. There is currently no separate energy research and innovation strategy, prioritisation decisions are informed by the Industrial Strategy and the CGS.